Big chewy chocolaty cookies that just beg for a glass of milk. These super duper chewy milk chocolate M & M cookies are a perfect treat! 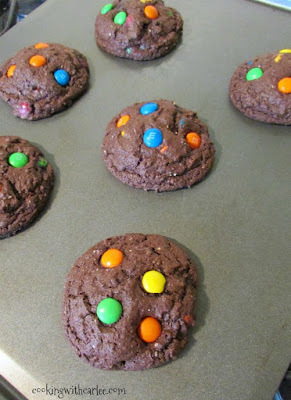 Super Duper Chewy Milk Chocolate M&M Cookies are bound to be one of those cookies that your family asks for year round! I mean why not? After all, the only thing better than chocolate is more chocolate and the only thing better than a cookies is a bigger cookie. You know I'm right. Don't even try to deny it! These cookies are big, soft, delicious handfuls of chocolaty goodness. They were another one of the birthday treats I brought to my coworkers. (I think I may have delivered somewhere in the vicinity of 15 pounds of sugary, buttery, yummy goodness that day!) Somehow we managed to work our way through the pile without any complaint! These cookies were actually kind of a hybrid of a few recipes. I took part of what I loved from a few different places and added a few tweaks along the way. I had read somewhere that adding milk powder to cookie dough makes for a great chewy texture. So I worked that in along with plenty of cocoa powder. The results were amazing if I do say so myself! 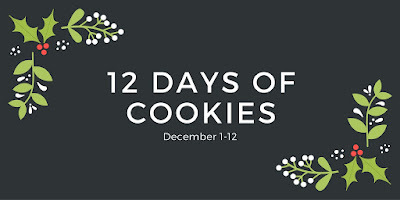 Two days into the 12 Days of Christmas Cookies and I am in cookie heaven! Don't worry, there are plenty more to come! Big chewy chocolaty cookies that just beg for a glass of milk. 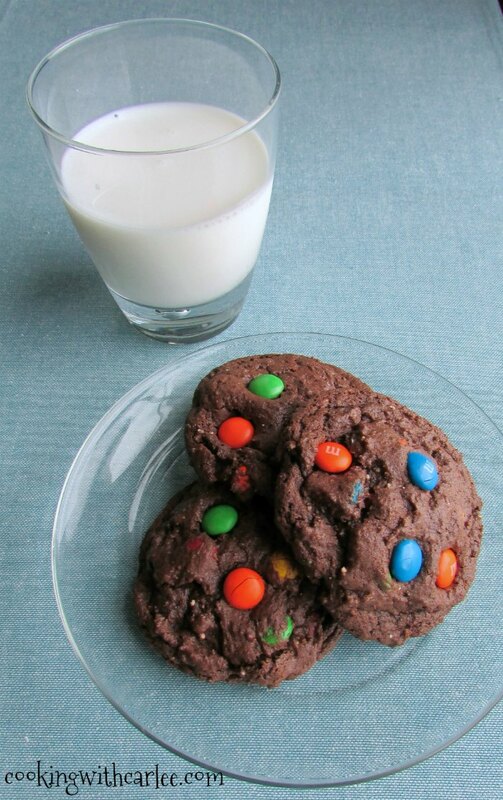 These super duper chew milk chocolate M & M cookies are a perfect treat! Cream together butter and sugars until light and fluffy. Beat in eggs and vanilla. 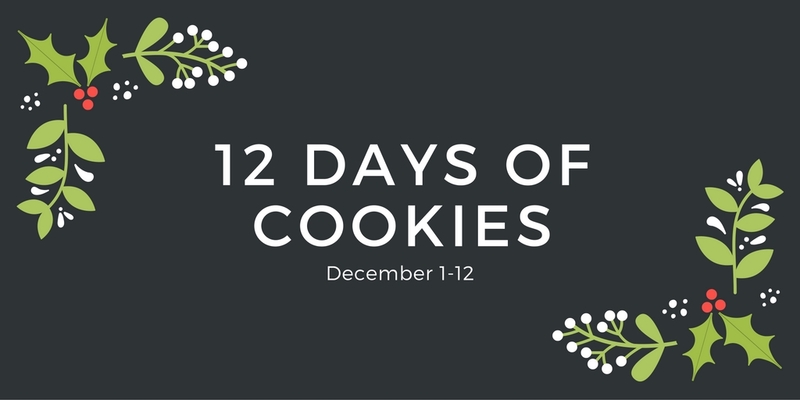 Scoop in 3 Tablespoon scoops (a large cookie scoop) onto baking sheet, leaving cookies 2 inches apart. Bake for 10-12 minutes, they should look a bit soft still. Let cool for 5 minutes on the cookie sheet and then move to a wire rack to cool completely. These do sound chocolatey, Carlee. I'm always looking for a chewy cookie recipe. I'm trying these out on the guinea pigs at work. aka my co-workers. :) Thanks for sharing. I am sure they will love them, Linda! I hope you do too! Have a great weekend. Oh my goodness....these sound absolutely sinful. My kind of cookie! Looks so yummy! I've never put M&Ms in cookies. I love M&M's but never put them in cookies. These look delicious, so I have to remedy that! They are very similar! Thanks, Janet! Chewy cookies are definitely my favorite, and these look amazing. Thanks for linking up to Funtastic Friday! Chewy cookies are my favorite! Thank you for hosting! 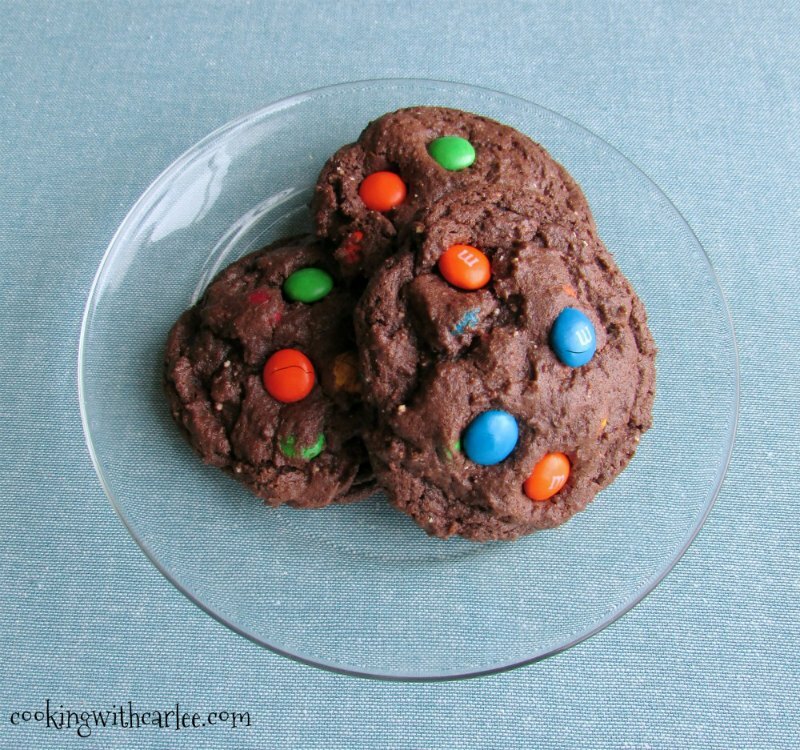 Chocolate cookie AND M&Ms yummmm!